Sarah Nader- snader@shawmedia.com Cary-Grove's Michael Coleman jumps for the rebound during the second quarter of Tuesday's Class 4A Crystal Lake Central Regional against Dundee-Crown March 4, 2014. 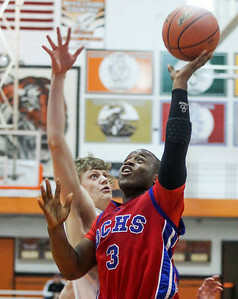 Dundee-Crown defeated Cary-Grove, 47-41. Sarah Nader- snader@shawmedia.com Dundee-Crown's Caleb Parson (center) celebrates with his teammates after the team beat Cary-Grove during the Class 4A Crystal Lake Central Regional Tuesday, March 4, 2014. 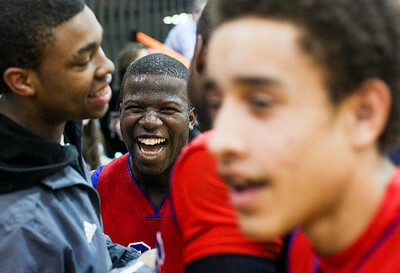 Dundee-Crown won, 47-41. Sarah Nader- snader@shawmedia.com Cary-Grove's Michael Coleman (left) guards Dundee-Crown's Cordero Parson while he shoots during the second quarter of Tuesday's Class 4A Crystal Lake Central Regional March 4, 2014. 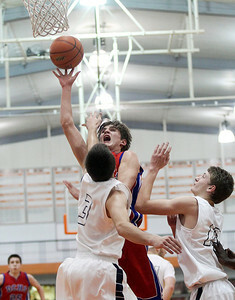 Dundee-Crown defeated Cary-Grove, 47-41. Sarah Nader- snader@shawmedia.com Dundee-Crown's Malik Dunner (left) guards Cary-Grove's Jason Gregoire while he shoots during the third quarter of Tuesday's Class 4A Crystal Lake Central Regional March 4, 2014. 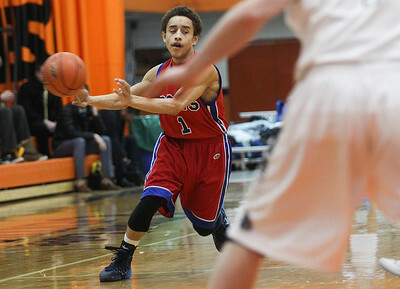 Dundee-Crown defeated Cary-Grove, 47-41. Sarah Nader- snader@shawmedia.com Dundee-Crown's Nick Munson shoots during the first quarter of Tuesday's Class 4A Crystal Lake Central Regional against Cary-Grove March 4, 2014. 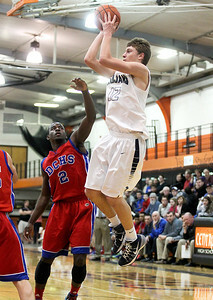 Dundee-Crown defeated Cary-Grove, 47-41. Sarah Nader- snader@shawmedia.com Dundee-Crown's Zach Pochop dribbles towards the basket during the first quarter of Tuesday's Class 4A Crystal Lake Central Regional against Cary-Grove March 4, 2014. Dundee-Crown defeated Cary-Grove, 47-41. Dundee-Crown's Nick Munson shoots during the first quarter of Tuesday's Class 4A Crystal Lake Central Regional against Cary-Grove March 4, 2014. 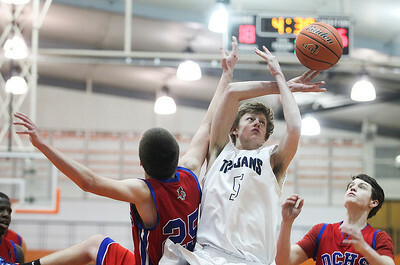 Dundee-Crown defeated Cary-Grove, 47-41.